After Trump fired Comey and Mueller was appointed special counsel, the fights between the President and his lawyer grew more intense. Trump was angered when Justice Department ethics officials officially cleared Mueller to serve as special counsel on May 23, and he told McGahn to call Rosenstein, who was in charge of overseeing the investigation. McGahn told the President that he would not call Rosenstein and that he would suggest that the President not make such a call either,” the report said, citing contemporaneous notes taken by one of McGahn's aides. Is focusing on the Mueller report a losing strategy for Democratic presidential hopefuls? WALTERBORO, S.C. – Law enforcement officials announced Friday that fifth-grader Raniya Wright died days of natural causes, and no one will be charged in the 10-year-old's death. But Raniya's family disputed the results of the weekslong investigation after she fought with another student March 25 in an elementary school classroom and complained of a headache. Raniya died in a Charleston hospital two days later. 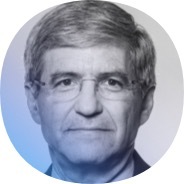 Democratic Party leaders have cautioned against impeachment just 18 months before the 2020 presidential election, although prominent liberals have called for the start of proceedings to remove Trump from office since the release on Thursday of Mueller's report. U.S. House Judiciary Committee Chairman Jerrold Nadler, whose panel would spearhead any impeachment proceedings, said Democrats would press ahead with investigations of Trump in Congress and "see where the facts lead us." "Obstruction of justice, if proven, would be impeachable," Nadler said on NBC's "Meet the Press." A redacted version of Mueller's long-awaited report on Russian interference in the 2016 election, the product of a 22-month investigation, built a broad case that Trump had committed obstruction of justice. Israeli forces destroyed two apartments in the occupied West Bank on Friday that housed the family of a Palestinian accused of killing an Israeli woman in February, the army said. Clashes broke out between dozens of demonstrators and police in Paris on the 23rd Saturday of yellow-vest protests after authorities warned that rioters could return to the French capital to spark a new wave of violence. Dozens of black-hooded demonstrators threw rocks at police and some set fire to scooters and trash cans in the center of the French capital, according to Reuters TV footage. 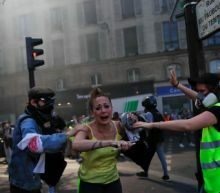 Some officers also marched toward demonstrators to control the crowd and funnel it to Paris' Place de la Republique, where most of the demonstrators were contained in the late afternoon. There's no distraction from meetings or deadlines, so you can really spend time not only browsing the best deals and sales, but also researching your purchases and making sure your money is not going to waste. To help you avoid buying a dud, I sought out the most impressive and worthwhile sales and deals happening right now that I thought you'd want to know about. From a DNA test kit sale to discounts on discounts at Anthropologie to a sale on helpful tech accessories, here are this weekend's best ways to shop. While much of the Mueller Report discusses the President and his campaign, it is essential that readers who skipped ahead to the section detailing whether President Trump obstructed justice return to the very beginning of the Mueller Report. Carefully written and heavily footnoted, Volume I of the report provides indisputable evidence of the Russian government's “sweeping and systematic” interference with the 2016 election. Although many of the details were previously provided in indictments or congressional testimony, the report gives a comprehensive and thorough analysis of Russian attempts to manipulate both ordinary Americans and campaign leaders as tools for corruption. US Secretary of State Mike Pompeo said Friday he remained in charge of negotiating with North Korea despite the regime's demands to exclude him, as he voiced guarded hope with Japan on securing a deal. 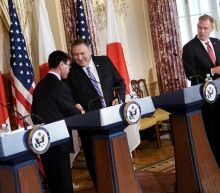 Pompeo led four-way talks in Washington of the US and Japanese foreign affairs and defense chiefs, the latest in a flurry of major meetings scheduled between the close allies. Amid a standstill with North Korea, Pompeo brushed aside an angry statement this week in which Pyongyang called the top US diplomat "reckless" and immature and demanded that he be removed from future negotiations. A SpaceX Crew Dragon experienced an "anomaly" during ground tests that manifested as a column of smoke rising from the spacecraft's thrusters. The Crew Dragons were expected to fly with astronauts aboard later in the year, and it is currently unclear whether recent tests could delay that. Though few details are available, SpaceX did release a statement to SpaceNews confirming the incident. Revelations about apps from the Google Play Store sneaking past available protections and collecting gobs of user data without permission are nothing new, but a new investigation has revealed an especially troubling pattern of behavior among one particular set of apps. A BuzzFeed analysis recently found that several Android apps that happen to be among the most-downloaded on the Google Play Store may in fact have been sharing data they collect with the Chinese government. One of the apps in question, a selfie app, has been downloaded more than 50 million times and all of them have reportedly been “committing large-scale ad fraud and abusing user permissions,” according to the report. 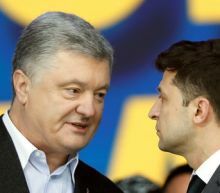 The debate, held in a hulking football stadium, was one of the last opportunities for incumbent President Petro Poroshenko to try to overhaul a significant lead in the opinion polls enjoyed by his challenger Volodymyr Zelenskiy, a comic. At stake in Sunday's election is the leadership of a country on the frontline of the West's standoff with Moscow following 2014 protests that caused Poroshenko's Kremlin-backed predecessor to flee into exile, and foreshadowed Moscow's annexation of Crimea. 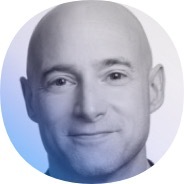 Zelenskiy, 41, who plays a fictional president in a popular TV series, tried to cast Poroshenko, 53, as a rich out-of-touch leader who has overseen corruption and failed to end the war. SAN FRANCISCO — The backlash against the tech industry-wide push to hire more women and minorities has flared again — this time at Microsoft. Some employees on an internal message board questioned the tech giant's efforts to shift the demographics of its largely white and Asian male workforce, asking for evidence that a diverse workforce benefits Microsoft. Eighty-seven percent of Microsoft employees are white or Asian and more than 73 percent are men, according to the company's most recent diversity report. 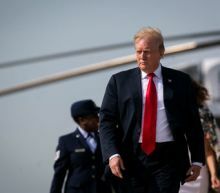 In expressing his condolences to those impacted by the Sri Lanka blasts, President Donald Trump initially claimed incorrectly that millions had died in the South Asia country on Easter Sunday. 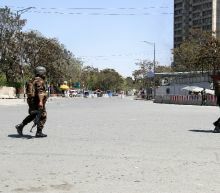 At least 138 people were killed in what appears to be coordinated attacks as the death toll is expected to increase, according to multiple media reports. Hundreds were wounded in a series of explosions that targeted churches and hotels frequented by tourists around the Sri Lankan capital of Colombo, the Associated Press and CNN report. 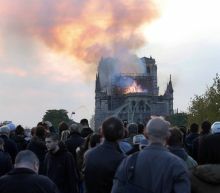 Few people outside certain techie and cultural heritage circles had ever heard about self-described 'gadget geek' Andrew Tallon's work until Monday, when Notre Dame cathedral in Paris went up in a cloud of smoke. Tallon, a Belgium-born Vassar College art professor who died six months ago at the age of 49, of terminal brain cancer, was the first—and the last—person to digitally scan the entire 850-year-old cathedral. Islamic State group jihadists have killed 35 pro-Damascus fighters in Syria, in what a monitoring group described Saturday as their deadliest operation since the fall of the "caliphate". The Syrian Observatory for Human Rights said four senior Syrian army officers were among the troops and allied militiamen killed in the desert east of Homs province over the past 48 hours. The Amaq propaganda arm of IS, which lost the last vestige of its "caliphate" to Kurdish-led forces last month but retains desert and mountain hideouts in both Syria and Iraq, said its fighters carried out the operation.